I did my first 'semi' bike block since 2012!!! I say 'semi', because my running and swimming were still very much part of the program, however I decided to add in some specific bike workouts that targeted raising what many call the FTP. To be clear, of the three sports, I am most naturally a biker, and my biking back in 2012, my first season as a pro, was probably some of the best riding I have ever done. Since then I have been coasting on fitness, opting instead for spending that time and energy working on my run and swim. In addition, this year I made a switch from prior years and trained out of Clermont, Florida instead of Tucson, Arizona. Tucson was a great place to be because the climbing is great and acts as long uninterrupted workouts that are intense and provided a natural bump to fitness. Florida was a nice change of scenery, but with no extended climbs I got to April of this year and was flat. So flat, that I got dropped by someone other than Jordan Rapp, Lionel Sanders, and Matt Russell at various races. I knew it was time for a change in April but it wasn't until after I got back from Wildflower that I put in the change with a short bike block targeted at raising my FTP. The main goal of the block was to keep it simple and focus on a specific workout that were repeatable and that I could track the progress of. Using a trainer, I opted for the famous 2x20 minutes with 5 mins rest in between intervals. This workout isn't a whole lot of fun in the moment, but the results speaks for themselves. For reference, my weight was ~155lbs at 5 feet 9 inches. Power was measured with a SRAM Quarq. Although my power was considerably higher by Ironman Chattanooga 70.3 (May 22nd), it wasn't until Ironman Raleigh 70.3 and Ironman Eagleman 70.3 (June 12) that I felt it apply in the race. At Eagleman, I was able to step on the gas and drop someone who dropped me back in April. That's it. 2x20 is always a great workout. If you find my writing helpful, consider supporting my work. I have made it super simple with details here. Thanks for the idea. Have never done this one before. Will plug it into my erg file on the C Trainer. Can you please clarify the above graph? You mean to say that you did the 2x20 min workout as described on May 11, 13, 16, 18, 27, 29? 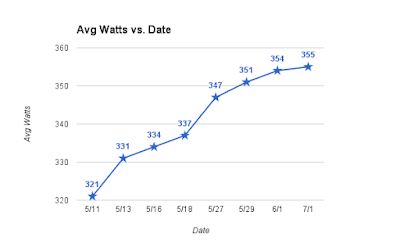 And in those 18 days saw an increase of 30 watts average? Hi Thomas - for each of the workouts what was your target power ? sorry, just not clear on the protocol for this workout. Is it 2x20 at FTP ? No power target. This isn't in a erg mode. Targets are too moving when fatigued, you do what you can do and shoot for improvement. Did you back off some of your higher "zone" run training during the 5/11 - 5/18 week? No I did not. I did mile repeats hitting a HR of 181 on 5/12 and I did 1/2 mile repeats on 5/17. That's impressive growth. Looks like you timed a good point in your season to put in a "2x20" block. I just found myself revisiting some of you're older training blogs. Very interesting insight, hope to see more in the future (however, I realize there are a number of reasons for which blogging can be easily forgotten/deemphasized). Good luck at Racine. There were two training sessions/week? for how long? Interesting graph - I might have a crack at this too. Out of interest, what did you do btw 5/18 and 5/27? Also, were you doing any other bike sessions or just the two FTPs sessions per week and how many run/swim sessions? Scott I raced Ironman Chattanooga 70.3. Lots of hard swim/run sessions in there including mile repeats and 1/2 mile repeats. Did you have any scheduled plan on frequency? 2 week with one or two days apart? Or just do it again as soon as you felt you were capable of riding at a higher power from the effort before? Jacob, honestly this particular block of threshold training was dictated more or less by racing and what I could fit in. 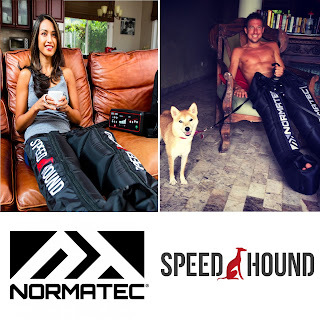 I was trying to do a lot of threshold training on the bike, while balancing it with even more intense run/swim sessions acting as my more V02 sessions, while balancing it all with the fatigue that comes with racing. I took it day by day. Had I had too much fatigue, I would have likely scrapped a session, but that never happened and I was able to pretty easily, mentally and physically, keep pushing the bar higher and higher. Later on in the season, I reversed it and did more V02 biking, and threshold running. My biking got even better but my running suffered a bit in races. So each 20 min interval is essentially a max effort? Just trying to get as many watts as you can? I don't understand how you're tracking progress(i probably missed something), if you're not aiming for a certain percentage. Are you holding a steady HR? Thanks for the great write ups. 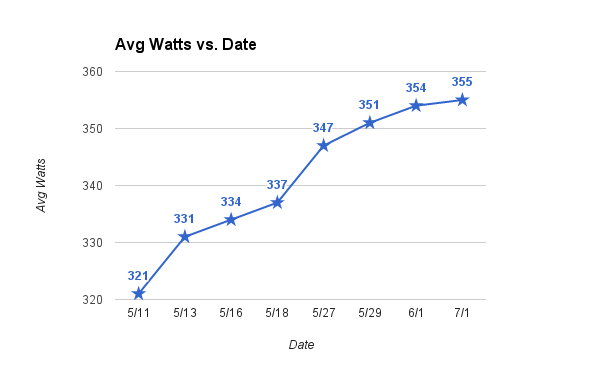 I am tracking progress by elevating the watts, pe, at roughly 90%-95% of FTP. As a self-coached athlete, there is a lot of introspection going on here coupled with races as being the ultimate barometer to confirm findings. Ultimately I could have plotted HR along with this, or delta between 1st 20 and 2nd 20 etc, but I try to keep things as simple as possible. Do work, get results is the ultimate simplification. I realize that as a long-term highly-successful triathlete that there may not be as much value in the piece. But for the beginner or someone who is worried about fitness lost I think it is a great example of how fast fitness you once had can come back. Bibliography - Paul, Steve. 2018. “Low Testosterone Fat Loss Bodybuilding - FDA Approved Brands!” Testosteroneofficial.Com Ie. Testosterone Official. Accessed November 6. https://testosteroneofficial.com/bodybuilding/. Reference - Logan, Paula. “Phenblue Scientific Studies.” Phenofficial.Com, i.e. PhenOfficial, https://phenofficial.com/reviews/phenblue/. Accessed 15 March. 2019.